With future-ready, scalable NVMe™ architecture, the Western Digital PC SN720 NVMe™ SSD is breaking through performance limits of client computing, enabling partners to support higher storage applications in today’s mobile and ultra-thin computing markets. 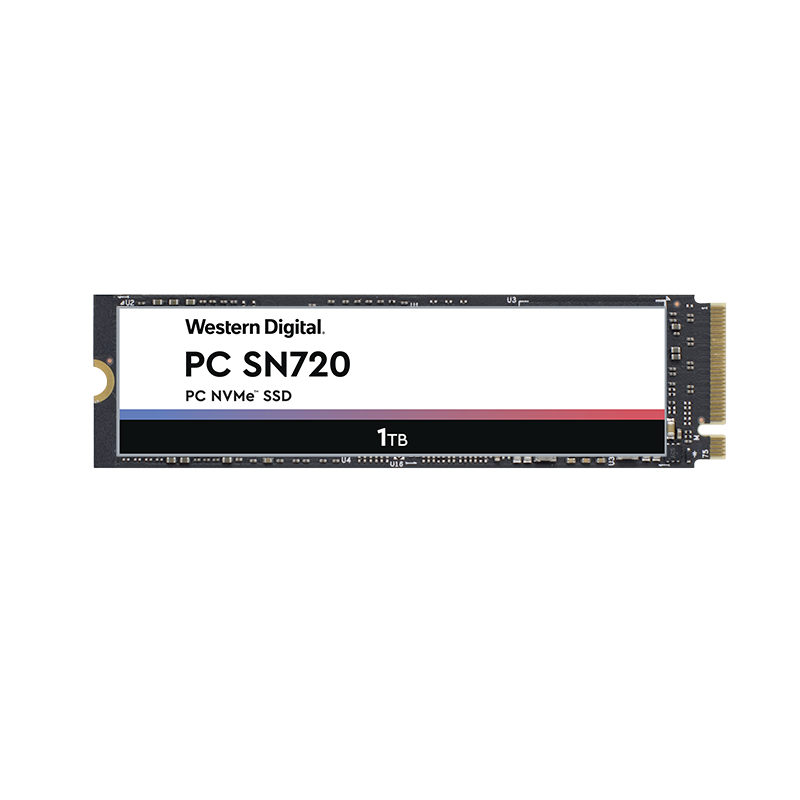 With Sequential Read speeds up to 3,400 MB/s (1TB and 512GB models), the Western Digital PC SN720 NVMe™ SSD is a fully integrated solution that includes an in-house controller, 64-layer 3D NAND, firmware, and extensive testing providing extended supply longevity in a robust and reliable design. Download the PC SN720 Datasheet (PDF).